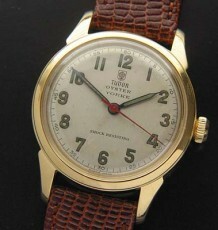 Home/Shop/Tudor/Vintage Tudor Submariner with rare lollipop hour hand. 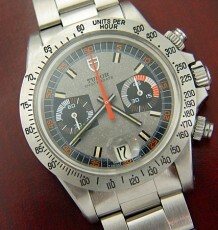 Rare Tudor Lollipop hour hand Submariner. Produced for a short time in the 80’so is quite rare. Same Oyster case as the Rolex Submariner 1680. 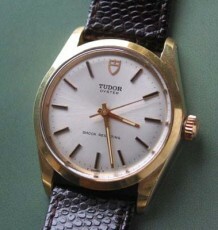 Not often seen, the Tudor Lollipop hour hand Submariner. Instead of the usual model with the Mercedes style divided hour hand. This model was only produced for a short time in the 80’s and was not available at service centres so is quite rare. 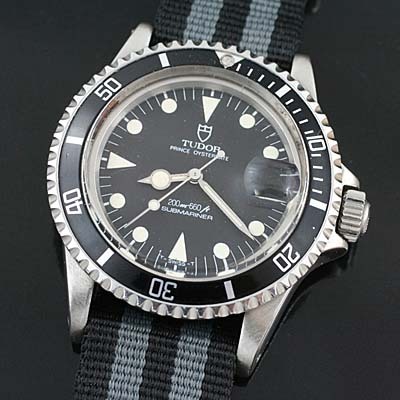 Vintage Tudor Submariner watches have gotten harder to buy in the last few years as their popularity increases. It is easy to understand why these rugged vintage watches have become scarce, they were designed and sold by Rolex using ETA ebauche movements that were upgraded and modified to meets the same military standards as the watches sold under the Rolex name. This particular movement is a calibre 2824-2 with the hacking function that stops the watch hands moving when the crown is pulled out to set the time. This particular model, reference 76100 was produced for a shorter period of time. The watch has all the design features found on the higher priced Rolex Submariners with date such as the ref 1680 from this period without the additional cost. 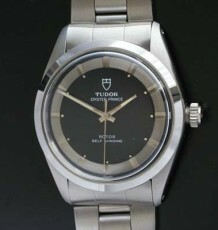 The watch features a genuine Rolex/Tudor Crystal and Rolex crown. The watch is supplied on a Nylon NATO style strap in the popular James Bond style colour pattern. This watch was just serviced by my Rolex trained watchmaker and is keeping excellent time.